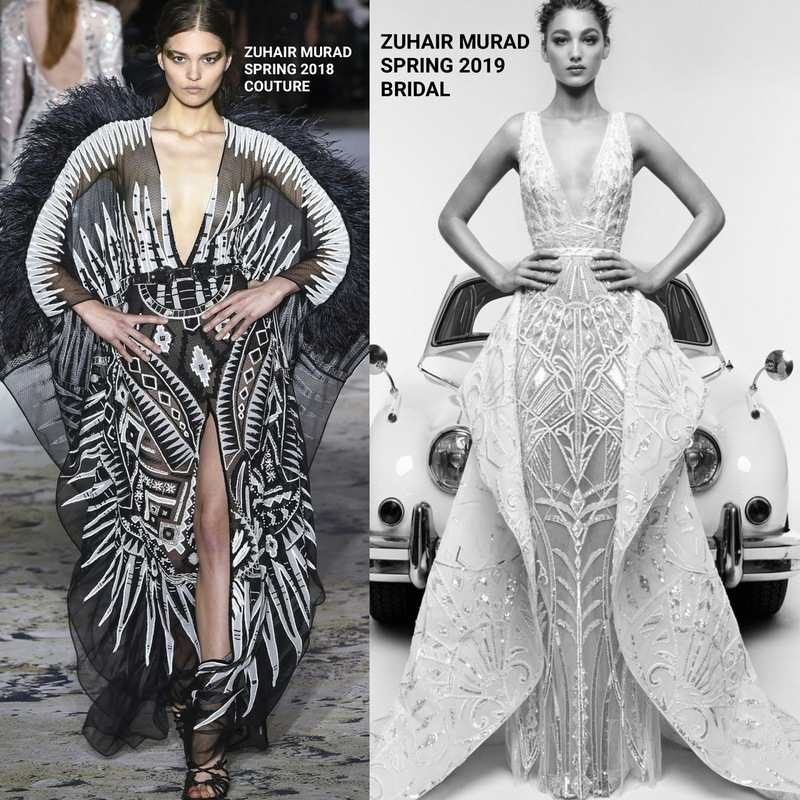 For their attendance at the 71st Cannes Film Festival amfAR gala this evening(May 17th) at Hotel du Cap-Eden-Roc in Cap d'Antibes, France, Winnie Harlow & Heidi Klum chose ZUHAIR MURAD. Winnie Harlow really rocked this SPRING 2018 COUTURE black & white monochrome aztec sheer printed tulle dress with a v-neckline, long feather sleeves and a center front split. My only issue here is that I wish she wore her hair off-the-shoulders. A bold red lip and black sandals finished up her look. Heidi Klum stepped out with darker hair wearing a SPRING 2019 BRIDAL sheer white beaded embroidered v-neck dress with a skirted waist. While I think this is a beautiful gown, it just feels too familiar. Who's ZM look do you favor?